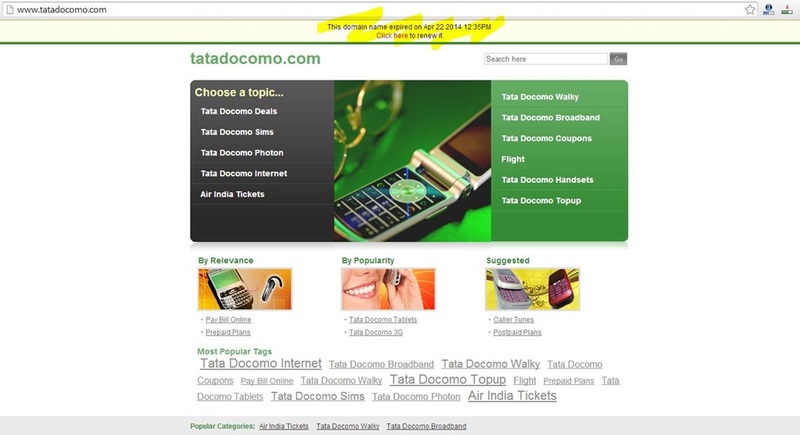 #Fail TataDocomo.com Forgets To Renew Domain; It’s Expired! The domain name was valid until 22nd of April 2014, and because there was no renewal done, the domain has expired. Now, it is currently in the 1 month grace period, so Tata Docomo can obviously renew it during that time as they have the first right to renew before it becomes available to the world. 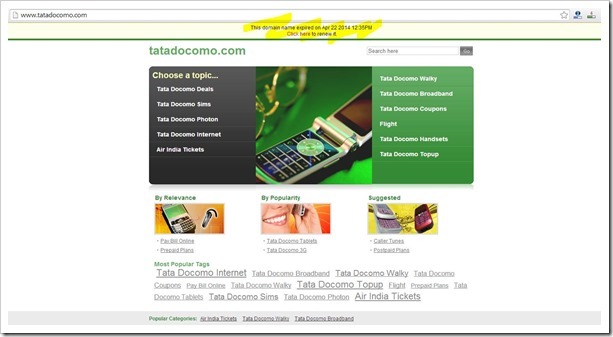 Very recently Yatra.com folks had forgotten to renew their domain, and there are numerous other examples where companies have completely forgotten to renew their domain names. This bring forth a very important point; Who is responsible for such a thing? Update: In last few minutes, the urls seems to have come back up!